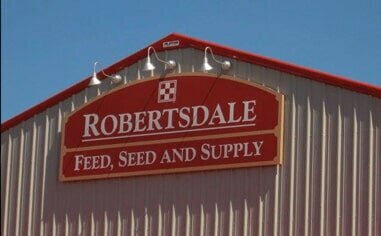 Come out and see us at the Robertsdale Feed, Seed, and Supply Store located on 59. We will have some great adoptable dogs and cats on site. We will be there Febuary 9th from 10-2. Come meet our adoptable dogs and cats at our adoption event with our friends at the Petsense in Foley! Head over to The Wharf’s page HERE for more info! Go to our event page HERE to learn more! Come meet some of our adoptable dogs and cats! Enter your dog to win! Photos of winners of each category will be taken for a 2019 calendar! Enter your dog for the People's Choice Category! Owner must provide photo of dog. The Baldwin Humane Society (BHS) is presenting the second annual Hound Dog Music Festival September 29th at Hidden Lake Barn, a special event venue in Silverhill, Alabama. The featured acts include the musical stylings of The Marlow Boys, winner of last year’s Nappie Award for Best New Local Band, as well as two of the best local favorites, The Leavin Brothers and Modern Eldorados. DJ Twiggens, WABD celebrity, will be the Master of Ceremonies! The ticket price is $40 if purchased in advance or $50 at the door. There will be a cash bar along with Blues Brothers and The Good Guys food trucks and Pelican’s Snowballs of Foley for the duration of the event. Tee shirts, hats, handheld fans and can koozies will be available for purchase at the door. Please feel free to bring your own outdoor seating and blankets. No outside coolers will be permitted in the venue. The musical festival is a benefit for BHS, a not for profit organization formed in 1979 to care for homeless, abused, and injured animals in Baldwin County. BHS is a 501(c)3 not for profit no-kill adoption agency. BHS was the first and remains the only county-wide animal welfare agency. BHS’s goal is to eliminate the number of abused and abandoned pets through spay/neuter, education, rescue and adoption. BHS receives no government funding and relies on grants and donations from the community. 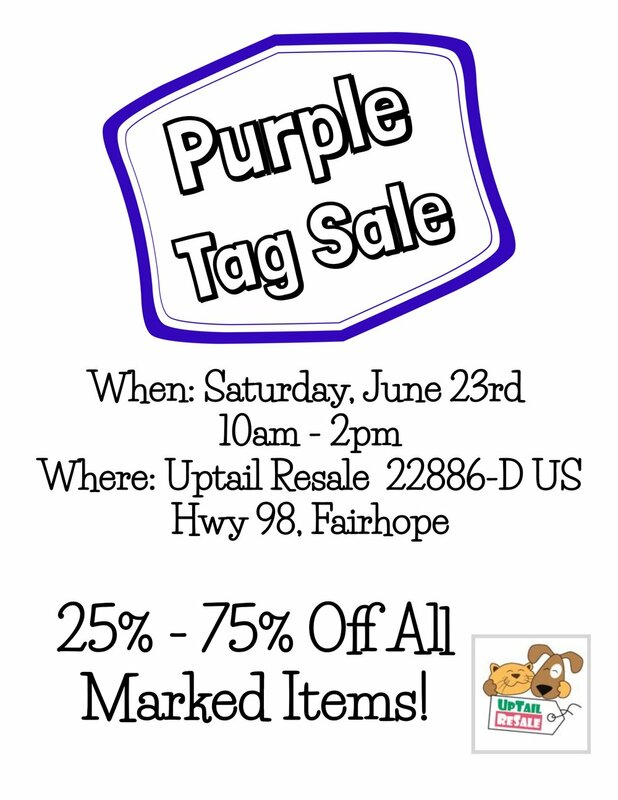 All proceeds will directly benefit the animals of Baldwin County. Come celebrate the Grand Opening of the brand new Petsense in Fairhope! 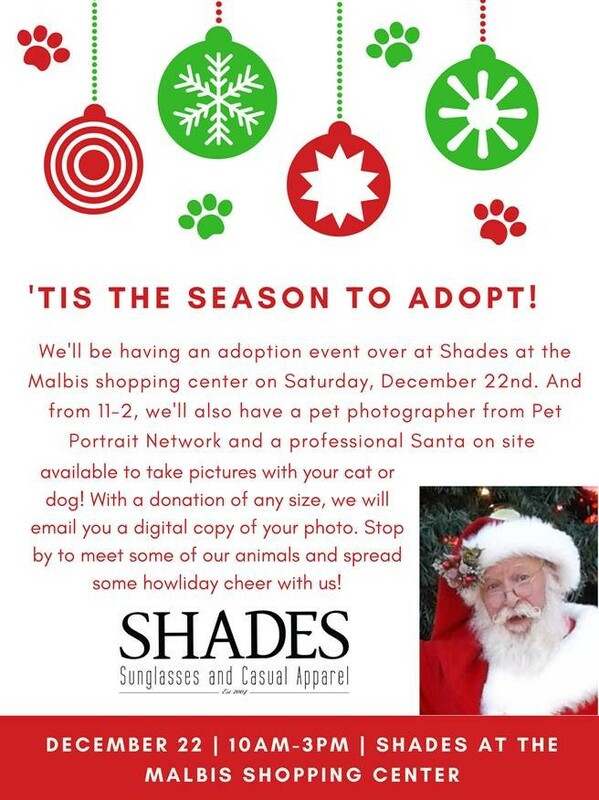 We will be there with adoptable animals from 10am - 3pm. See you there! Help us join the nationwide Clear the Shelters initiative! We will be at the Foley Petsense with adoptable dogs and cats for you to meet and fall in love with! 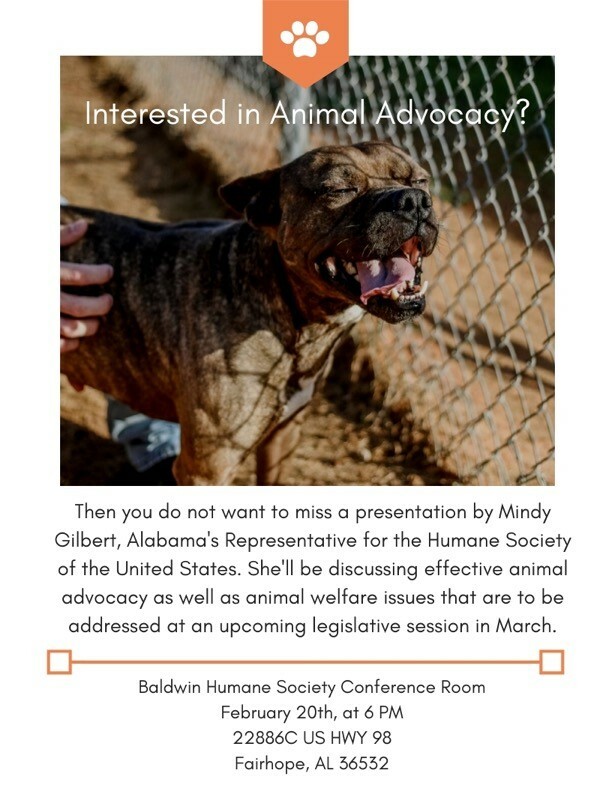 We are proud to announce that the Baldwin Humane Society will be attending the Miranda Lambert/Little Big town concert coming up at The Wharf Amphitheater on August 2nd. Our group will be working with Miranda Lambert's MuttNation to gather donations leading up to and during the concert as part of the "Little Red Wagon" donation drive. If you stop in to our adoption center or Foley’s PetSmart to drop off donations leading up to the day of the concert you can enter a chance to win TWO TICKETS to the show! If you are already going to the concert and bring a donation to our booth you will be entered for a chance at a meet and greet with Miranda!!! Give us a call for more details! A cat arching its back, purring in delight, already resembles a yogi. Imagine doing downward dog in a room full of cats. For cat lovers and yoga enthusiasts, a yoga class filled with feline friends sounds like a purrty good deal. But this class is offered with a larger purpose in mind: The cats need homes. 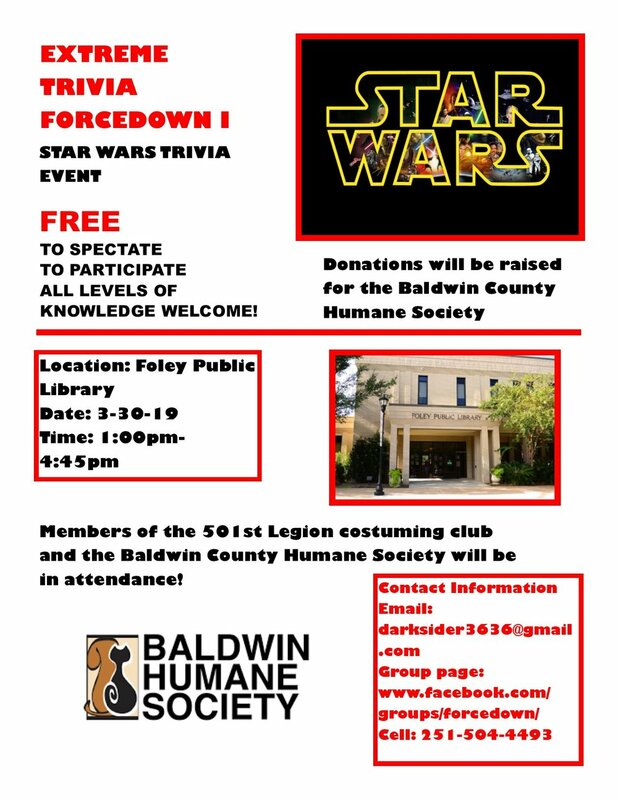 The Baldwin County Humane Society will be holding this event in an effort to raise funds and introduce potential new pet owners to some kitties in need. Adoptable cats will fill the room and observe, play, and possibly pounce on your mat as you practice yoga. Come experience the mewest trend by reserving your mat today. CERTIFIED INSTRUCTOR Gayla Demaine RYT 200 will be leading the class. Come meet some of our adoptable dogs and cats at our adoption event at the Foley Petsense! 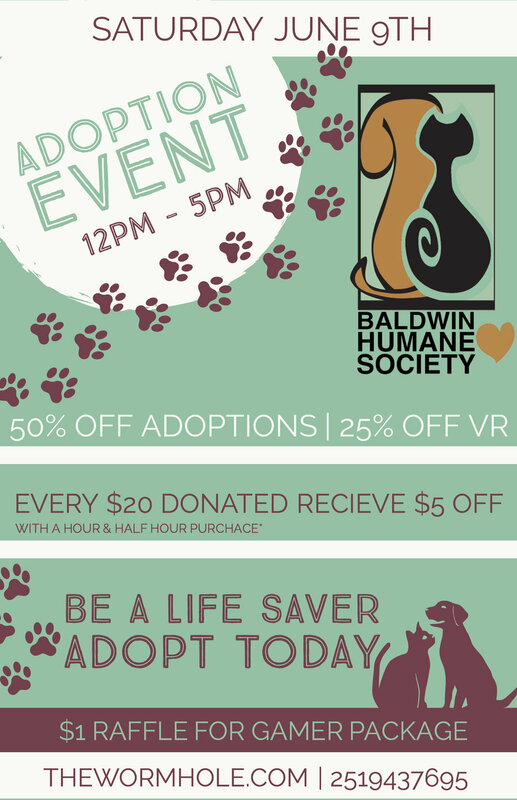 Come meet some of our adoptable dogs at our Petsmart adoption event! We will be attending Petsmart's National Adoption weekend with some of our adoptable dogs on Friday and Saturday. Friday 11am - 4pm and Saturday 10am - 3pm. We will be set up with our super popular Smooch A Pooch booth for all three days of The Hangout Music Festival. Come by and say hello!